Hungry? Let Humboldt Bay Bistro in Eureka, CA satisfy your cravings and indulge you with a remarkable dining experience! Opened by Chefs Brett Obra and Evan Daugherty, our gorgeous bay-front fusion restaurant brings together ambiance, French home-style cooking, and mouthwatering Californian cuisine. If you’re out for some drinks, our lounge features local craft beers, wine, and house-infused sake cocktails. Come and enjoy an exquisite meal at our bistro while taking in the picturesque view of Humboldt Bay. Join us tonight at the corner of Second & P Street. We look forward to having you. Cheers! Dine at Our Fusion Restaurant Today! Enjoy scrumptious French-Californian cooking in a relaxing setting like our restaurant. 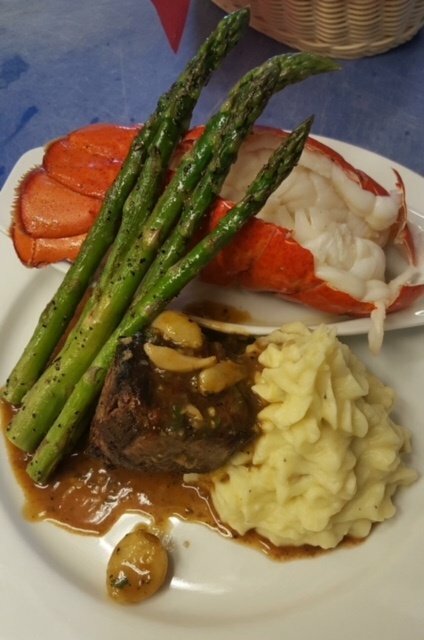 Here at Humboldt Bay Bistro, we prepare each meal using only the best ingredients available on the market to ensure quality and taste. From our starters to desserts, our chefs bring together a unique twist to some of your all-time food favorites! To reserve a table or to place your order in advance, just call us using the featured contact details.